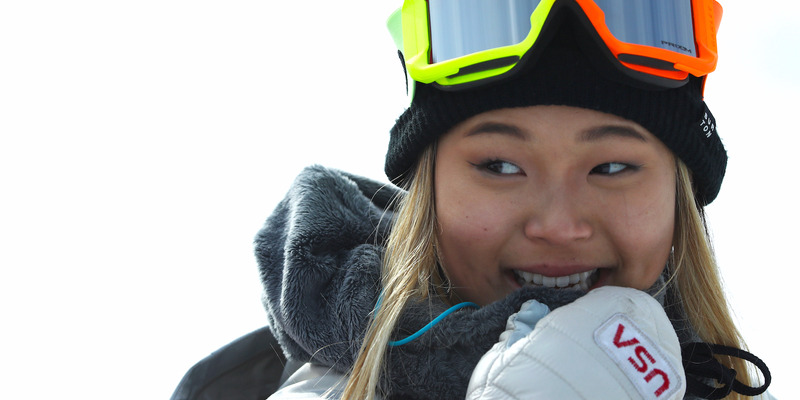 U.S. snowboarder Chloe Kim tweeted about being hungry during the women’s halfpipe final. The tweet came after she tweeted about wanting ice cream during the qualifier the night before. Kim, the gold medal favourite, was already leading by a big margin when she sent the tweet. 17-year-old U.S. snowboarder Chloe Kim didn’t seem too nervous about the women’s halfpipe final on Tuesday in Pyeongchang at the Winter Olympics. During each snowboarder’s third and final runs, with Kim already leading the pack by a wide margin thanks to a monstrous first run, Kim sent of a tweet about breakfast. “Wish I finished my breakfast sandwich but my stubborn self decided not to and now I’m getting hangry,” Kim tweeted. On Monday in Pyeongchang, during the qualifier for the women’s halfpipe, Kim tweeted about wanting ice cream. Kim, the heavy gold-medal favourite entering the games, doesn’t seem to need to be completely locked in to dominate. Her opening run on Tuesday was a 93.75, several points higher than the next closest score. After putting it into cruise control, Kim was able instead to focus on what her next meal would be.